How to Fix iOS 11 Problems - Here the most iOS 11 problem and how to fix with tutorial, tips and tricks. Before you install the iOS 11 on your iPhone, you need to take a look at our pre-installation tips and our installation guide. They will help you avoid iOS 11 problems. Installation new iOS 11 are extremely common and many users that are running into trouble when installing the iOS 11, the installation got stuck on the Apple logo. The home button was responsive and iTunes could see the phone, but we could not complete the installation or exit it. To fix iPhone problems on this iOS 11, enter recovery mode and restore to iOS 10.3.2. This took several tries for some reason, but on the second or third try the phone reverted to iOS 10 as a blank slate. After this, we were able to install the iOS 11 without further problems hope you fix too. If the installation still have problem, you can also try removing the SIM card. This method has worked for quite a few people. You should only do this if you’re installing the iOS 11 on a secondary device. If its the iOS 11 download that’s getting stuck, try holding down the home button and the power button (if you own an iPhone 7, hold down the volume down and power button) at the same time. Your device will power down and restart and then you should be able to get the process rolling again. We haven’t noticed any issues (yet) but the iOS 11 is causing severe battery drain on some iPhone and iPad models. Battery issues are common and they will plague every single Apple puts out. If you start to notice abnormal battery drain out of nowhere, take a look at our list of fixes for bad iOS 11 battery life. Our guide walks you through the steps you’ll want to take before giving up. If you can no longer connect your iOS 11 powered device to your Bluetooth headset or speakers, try one of these ancient remedies. Head into the Settings app and go into Bluetooth. Tap on the blue i in the circle next to the Bluetooth connection giving you problems and tap Forget This Device on the next screen. Try reconnecting. If this quick fix doesn’t work, try resetting your device’s network settings. Head into Settings > General > Reset > Reset Network Settings. This process will take a few seconds to complete and your device will forget known Bluetooth devices. Try reconnecting. If this doesn’t help, try resetting all of your settings. Settings > General > Reset > Reset All Settings. This will revert your settings to factory defaults which means your device will forget all of the stored Wi-Fi passwords. Make sure you have those handy before you try this step. 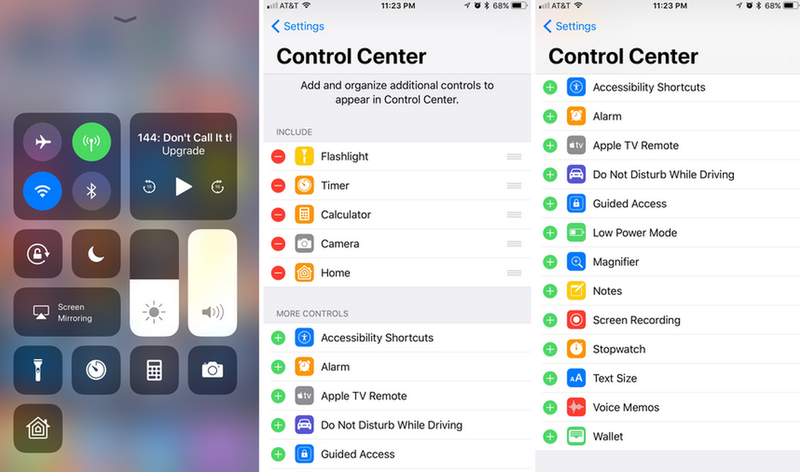 If you’re dealing with iOS 11 Bluetooth problems in the car, try these fixes but you also might need to consult your car’s manual and/or your car’s dealer for a potential fix. If your cellular data (LTE, 4G, etc) speeds are slower than normal and/or your connection is unstable, here are a few things to try. First, check with your carrier to determine if there is an outage in your area. Here’s where to go if you’re on AT&T, Sprint, T-Mobile, or Verizon. If you need to, get in touch with customer service. If you’re sure it’s not an outage, try a simple restart. Hold down the power button, swipe to turn it off, hold the button down again to power back on. If you’re still experiencing problems, head into Settings > About and check for a carrier update. If that doesn’t work, try toggling Cellular Data off and on. Go to Settings > Cellular > Toggle it off. You also might try enabling Airplane Mode for a minute in Settings or Control Center. Turn it off and check your connection. You might also try resetting your Network Settings. Head into Settings > General > Reset > Reset Network Settings. iOS 11 are running into a variety of Wi-Fi issues. Some users are seeing slow speeds, others are experiencing frequent drops. Wi-Fi issues are notoriously hard to fix but here are a few fixes to try if things go awry. First, you’ll want to make sure it’s not a router/Internet Service Provider (ISP) problem. If your Wi-Fi connection starts acting up, try unplugging your router for a good minute before testing again. We also recommend looking to see if there is a service outage in your area. If you’re positive it’s not an outage or a router issue, you’ll want to grab your device and head into the Settings app and have your Wi-Fi passwords handy. Go into Settings > Wi-Fi > Select your connection > and Tap Forget this Network at the top of the screen. Reconnect if you can and check for problems. If you’re still noticing issues, head into Settings > General > Reset > Reset Network Settings. This will cause your device to forget saved passwords so, like we said, have those handy. If these fail you, Apple’s got its own guide to Wi-Fi problems. You might find a fix that works for you there. iOS 11 users are running into an issue where the lock screen sometimes shows the home screen wallpaper instead of the lock screen wallpaper. We’ve seen that problem and we’ve also experienced an issue where a piece of a control gets stuck on the lock screen. You can see what we mean in the photo above. These aren’t game-changing issues but they’re annoying. Fortunately, there’s an easy way to fix them. To fix iOS 11 wallpaper problems, restart your iPhone, iPad or iPod touch. The wallpapers should return to normal. If your AirPods won’t connect to your iOS 11 powered device or if only one AirPod connects, try this. Take both of your AirPods out, put them both inside the case, close the case, wait 5-10 seconds, and then slowly take them out with the case next to phone. If your device’s screen starts to lag or if it becomes unresponsive when using the iOS 11 , here’s a fix that’s worked for us. If your screen stops responding to touches and swipes, hold down the power button and home button (volume down and power button on an iPhone 7/iPhone 7 Plus) at the same time. Your phone will reboot in a few seconds and the touchscreen problems should be gone. If it doesn’t work the first time, try it again until it works. In the past, its taken as many as three hard resets. If you are dealing with iOS 11 performance issues like lag, random reboots, and lockups, we’ve got you covered. We recently put together a list of ways to improve poor iOS 11 performance if a simple restart fails to dislodge the problem(s). If you’re experiencing stuttering when switching applications, try adjusting the click speed of the home button. To get that done, head into your Settings > General > Accessibility > Home Button. If you’re having trouble downloading apps or app updates from the App Store, restart your device and try the download again. It should work. If your download is still stuck, rapidly tap “Update” on an app before the “Open” symbol appears. If you’re dealing with app performance problems, make sure the app is up-to-date with the latest bug fixes. If that doesn’t help, try reinstalling the app giving you issues. Many apps and services won’t work well with pre-release software and many developers won’t release iOS 11 compatibility updates. If these fixes don’t help and your problems become unbearable, you’ll need to downgrade. If your sound suddenly cuts out while you’re on the home screen or while you’re using an application, don’t panic. You should be able to fix the issue in seconds. Restarting your phone or tablet should alleviate the issue. Hold down the power button, slide to turn off, power the device back on and check. You should also try toggling Bluetooth off and on to see that that fixes your issue. If these sound problems are taking place in a specific app, check to make sure you’re on the latest version of the app. We also recommend taking a peek at your speaker grille to make sure debris isn’t causing the issue. If you notice something, carefully remove it to see if that improves your device’s sound. If a new iOS 11 is available, you might try downloading it. The iOS 11 2 fixed some of the most annoying bugs from the first and we expect future betas to come with a variety of bug fixes. If you’re on the most recent iOS 11 and you can’t get a handle on whatever it is plaguing your iPhone, iPad or iPod touch, you might try dropping back down to stable, official iOS software. If you’re unfamiliar with the downgrade process, take a look at our walkthrough. It will hold your hand through the iOS 11 downgrade to iOS 10. Have you ever installed a new iOS update only to discover new update problems on board your device? If you've experienced frustrating iOS update problems, you might want to give the iOS 11. The iOS 11 lets you try out new features but it also helps Apple improve the software ahead of the release in the fall.